Speaking to a crowd gathered outside the Montreal Courthouse, Guy Turcotte's estranged wife compared the former cardiologist's case to that of former football great OJ Simpson. Isabelle Gaston was joining about a hundred people protesting the Turcotte verdict, one of 14 scheduled demonstrations across Quebec. Turcotte admitted to killing his two children but was found not criminally responsible for the crime by a jury in early July because of his mental state. Isabelle Gaston speaking among protestors Saturday. 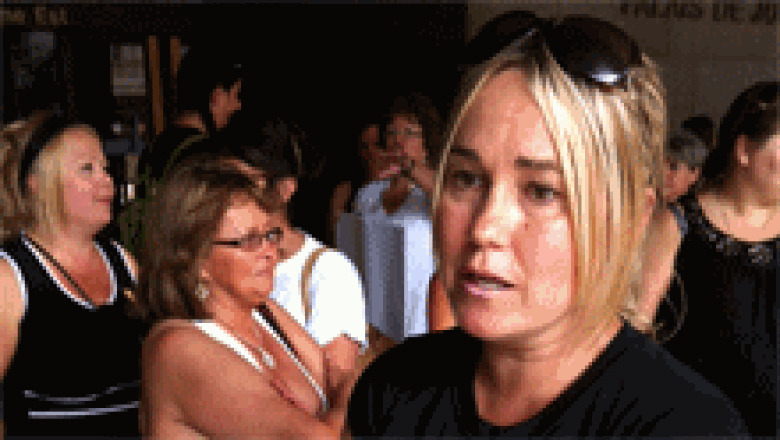 ((CBC/Nicole Robicheau))Gaston, who was disappointed by the verdict, told supporters Saturday that she doesn't believe that her husband killed her children because he was mentally ill, but rather out of revenge, which the crown had argued. Despite a pending appeal in the case, Gaston said she knows eventually Turcotte will be free, like Simpson was. The ex-NFL star's ex-wife and her friend were killed in 1994. Simpson was acquitted of murder charges, but a jury later held him liable for the killings in a wrongful death lawsuit. Many of those who gathered outside the Montreal Courthouse Saturday morning argued for changes in the judicial system, including Gaston. 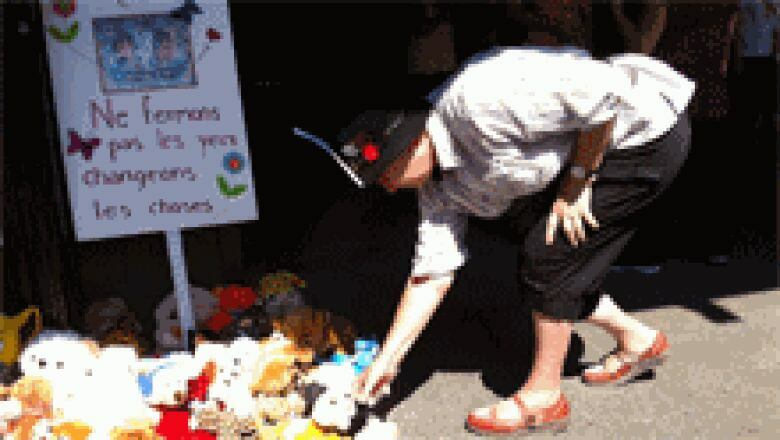 A demonstrator lays a teddy bear in memory of Guy Turcotte's children. 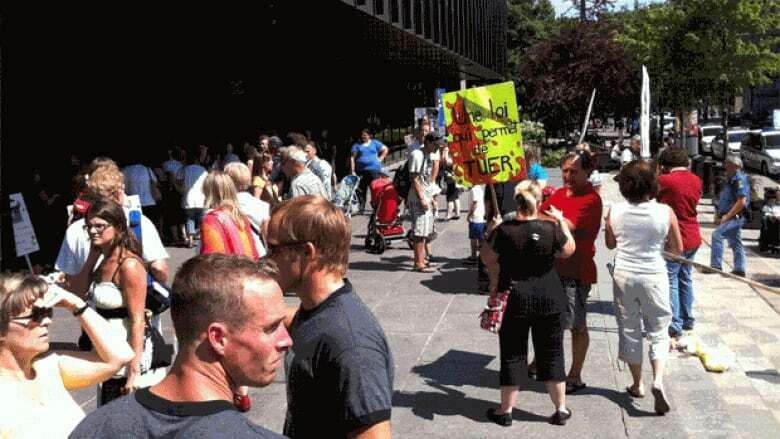 ((CBC/Nicole Robicheau))Some protestors wearing t-shirts with photos of Turcotte's children said they were hoping to start a movement which would end in granting less power to juries in certain cases. Gaston argued for changes to Article 16 of the Criminal Code of Canada, which legislates criminal responsibility involving a mental disorder. What does 'not criminally responsible' really mean?